Established in 1995, Multico Power Drive is the supplier of choice for Perkins industrial engines and Perkins Marine Propulsion engines. The company also markets a very successful range of marine generating sets under its own brand, Power Drive. Multico Power Drive's strategic alliance with world-renowned Perkins Group has endowed the company with a strong engine brand synonymous with product excellence and quality service. Today, Multico Power Drive is a trusted name in the industry, serving a wide network of customers and suppliers across Asia. We serve major industries including marine, construction, automotive, agriculture, construction and civil engineering, oil exploration, and mining. 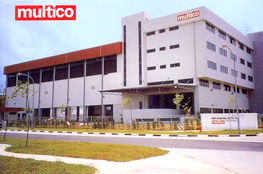 Multico Power Drive is a subsidiary of Multi-Corporation (S) Pte Ltd, a leading supplier and manufacturer of heavy equipment spare parts, generating sets and engines for industrial segments.